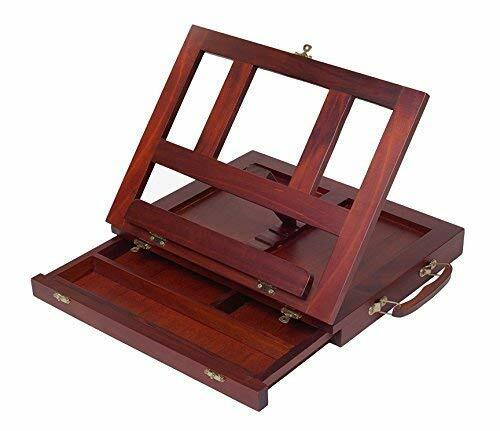 The ZagGit desktop adjustable mahogany wood art and book easel is an essential gift for any art or book enthusiast. It is the perfect gift for a son, daughter or relative when the holidays come around. 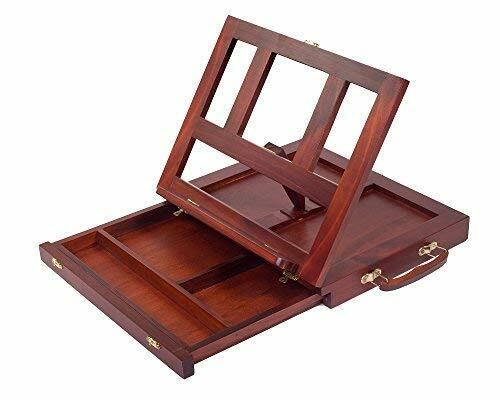 The Easel has a portable tabletop storage box that converts to a painting easel with one easy adjustment. The easel will accommodate a canvas up to 11"x14" and adjusts to four different angles. 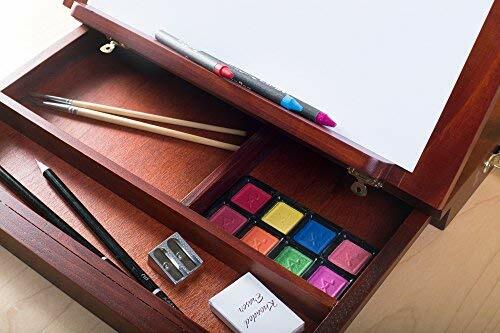 Built in you will find a drawer with three compartments to store brushes, paints, sketching tools and other fundamental gear. Also, very useful for reading or displaying books, cookbooks, iPads and tablets. 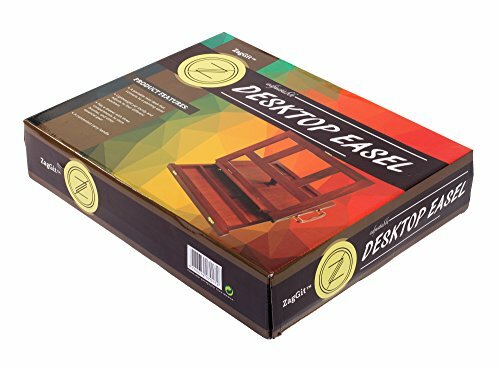 ZagGit designed the art and book easel to be light-weight but also very sturdy and balanced. You don't have to worry about the hassle of putting anything together because the easel will come fully assembled ready to be used!